Jean-Eric Vergne insists his new Ferrari test role is better than a race seat at struggling backmarker Caterham. The 24-year-old Frenchman was dropped by Red Bull after contesting the last three seasons for the energy drink company's second F1 team Toro Rosso. Ferrari has signed him for 2015 to be primarily a simulator driver, as Mexican Esteban Gutierrez will be the official reserve. 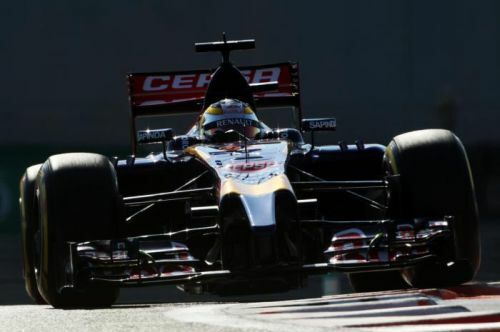 "Of course it is a good way to stay in touch with the paddock," Vergne told the French sports daily L'Equipe. "But my motivation is also to help Ferrari to win again. I will work for the most prestigious team and do my best to help them in the simulator," he added. "That is great. I would rather sit with Ferrari on the bench than to race for a team like Caterham," Vergne insisted. "I'm still very young and there are still many years in formula one in front of me. I enjoyed Formula E, but Ferrari now has priority."